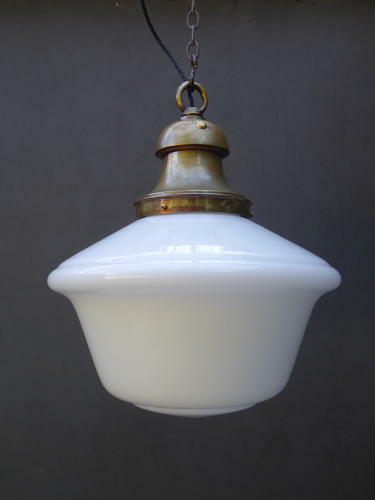 A wonderful antique opaline glass chapel pendant light. A beautiful traditional chapel light of excellent form with its original heavy cast brass gallery & hanging hook. ​Wear commensurate with age, gallery unrestored with later tensioning screws & a small blanking button to the top, glass in very good condition.